Dylan Reid joins Peter Reitzes to talk about his life not avoiding stuttering. 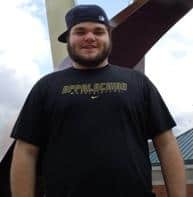 DYLAN REID is a 20 year old sophomore at Appalachian State University (ASU), attends the ASU Boone chapter of the National Stuttering Associationand is majoring in marketing with a minor in international business. Dylan is a member of the Appalachian State AHO Rugby Team. Dylan is asked about his life spent talking openly about stuttering and being raised by his parents not to avoid stuttering or speaking. Dylan is also asked about his views on accommodations in class and his school based speech therapy.